Brittany Ogden is the chair of our Wisconsin Office's Bankruptcy, Restructuring, & Creditor's Rights Practice Group. Brittany focuses her practice in business and commercial litigation, receiverships, bankruptcy, and creditors' rights matters. 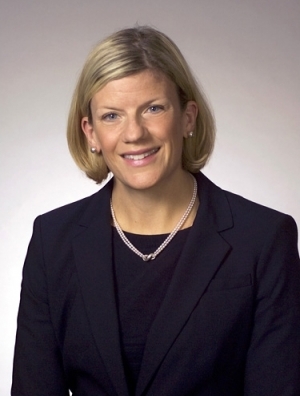 She has experience representing finance and leasing clients, assisting secured creditors, unsecured creditors, loan servicers, debtors, creditor committees, and trustees in Chapter 7, 11, 12 and 13 bankruptcy proceedings, Chapter 128 receiverships, state and federal court matters, including commercial foreclosures, workouts, collections, and lender liability actions. She also has significant experience in representing clients in the agricultural industry. Representation of numerous lenders and business owners in obtaining civil theft, conversion and non-discharge judgments. Representation of financial institutions and businesses in various contested bankruptcy cases, including but not limited to alleged automatic stay violations, WCA, FDCPA, TCPA and FCRA claims, preference actions, and discharge violations. Representation of equipment leasing company’s interest in bankruptcy regarding assumption/rejection issues and lease recharacterization claims. Representation of secured creditors with enforcement and recovery of equipment and judgments in multiple jurisdictions. Litigation of stay relief and contested plan issues in Chapter 11 bankruptcy case involving manufacturing business.